Businesses across the Glendale Heights area rely on e-vergent‘s dedicated internet service to power all of their company’s needs. We offer customizable download and upload speeds backed by a 99.999% Service Level Agreement. Our Business Internet plans are perfect for Glendale Heights area businesses. Even in the most rural areas near the Ned Brown Preserve, our service goes where other companies cannot. With nearly a dozen towers in the Schaumburg and Elk Grove Village areas, e-vergent delivers the power your business needs from wireless internet at a price you can afford. Many Glendale Heights area businesses are migrating their key business applications to the “cloud”, creating the need for uninterrupted access to online CRM, ERP, or basic office functions. Having sufficient cost-effective bandwidth for peak usage times is a necessity. The e-vergent network is ideally suited to guarantee access through its 100% diverse to the wired infrastructure and bandwidth scalable architecture. Coupled with minimal buildout costs, e-vergent Business Internet means that our customers have access to plenty of affordable bandwidth when they need it. Try as we might to avoid it, things do break and require service. 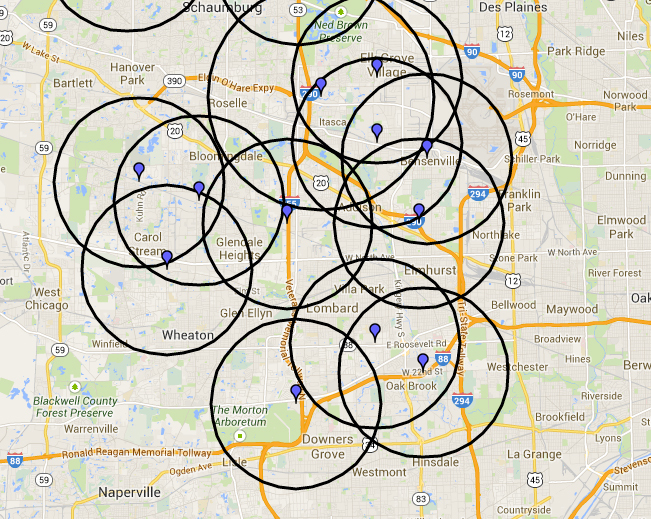 As a local company based out of Racine with a field office in Huntley, IL, we are never far away from Glendale Heights. Our 4 hour repair resolution policy means necessary repairs will never take longer than 4 hours. Unlike national providers, there are no hoops to jump through. We just fix the problem.